It’s no secret that a good night’s sleep can leave you feeling refreshed, revitalized, and ready to take on whatever that day has to offer. In the same way, restlessness or disrupted rest can make your body achy, give you brain fog, and take a toll on your immune system, leaving you feeling drained–and that’s simply a feeling that no one enjoys. Now imagine several nights, strung together consecutively, of poor sleep or a complete lack thereof: your body gradually begins to weaken, and just getting through the day ahead can be a struggle. For those in the midst of coping with addiction, unhealthy sleep patterns caused by drugs or alcohol can be detrimental beyond just feeling tired–not only does a lack of rest take a toll on your physical and mental health, but actually works against our natural, biological human processes. Remember being little and going to sleep before dark in the summertime? It felt strange, right? There is a reason for that: all humans have internal clocks that work on 24-hour oscillations, or circadian rhythms, to regulate biology and behavior based on lightness and darkness, or the day/night cycle. In a circadian-rhythm-ruled world, people would wake with the sun and sleep with the moon, but there are a plethora of factors that keep that from happening today. While it is normal not to sleep and operate based primarily on whether or not it is light or dark outside, it is crucial that we try our best to get an optimal amount of sleep during nocturnal hours in order to be at our best selves the following day. Addiction’s negative influence knows no bounds, as you may understand all too well. Even when you’re exhausted, it seems like your substance of choice is an easier, more effective option than laying down somewhere comfortable. When you do finally go to sleep, you might wake the next day feeling as though you’d never slept a wink. Even worse might be days when you wake feeling rested, only to find that it was a trick your body was playing on you, and you crash midday. So how do different substances actually affect circadian rhythms and sleep patterns? Well, it depends. Stimulants, drugs like cocaine and amphetamines, only allow for light and restless sleep; the body’s heightened state doesn’t allow for deep REM sleep, which are the high-quality sleep cycles that most people obtain from the hours of 1-4 am. The tricky thing is that you’ve got to be sleeping for at least 90 minutes to hit that plateau, and then REM patterns only last for around 10 minutes. Stimulants essentially keep your body “awake,” so getting to that stage is nearly impossible–as is getting its benefits. Depressants, such as alcohol and various opiates, work in the opposite way: they allow you to crash fairly hard, but because there is eventually a withdrawal period that occurs during slumber, they can rouse you from sleep and cause daytime drowsiness later on. In either case, the body’s inability to distinguish and establish a normalized state prevents REM sleep from occurring most of the time, and that’s the exact type of sleep that makes you feel genuinely rested. No matter what type of addiction you are struggling with, your sleep is negatively affected, and can interfere with other important biological processes vital to your health. 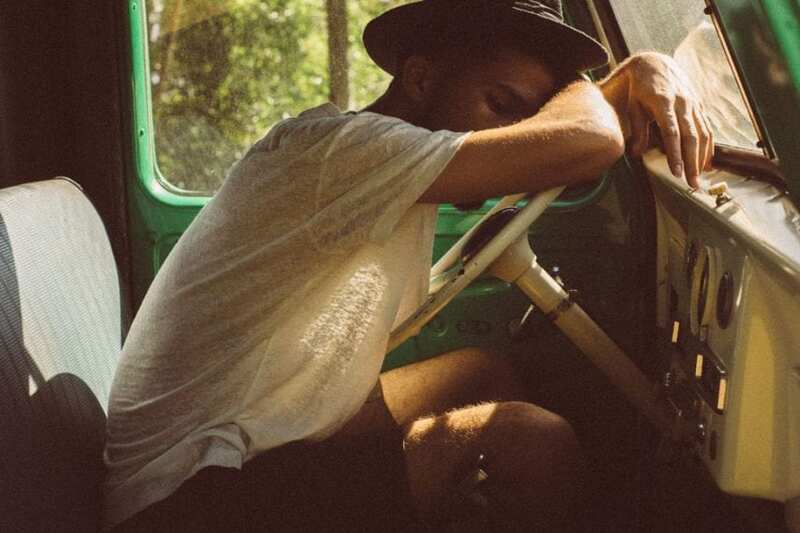 While excessive fatigue and sleeplessness are common amongst even those who don’t struggle with addiction, it is especially prevalent in those who do. At least five times as many people deal with sleep deprivation issues when they are addicts as compared to those who are not: over 70% of those with substance abuse problems also report sleep disruptions, light sleep, general malaise and drowsiness, and even insomnia. Because your body is already in a weakened state from unhealthy substances, it is even more important that you allow yourself the rest needed to repair and recover. During the time your eyes are closed, your body is doing a ton of really important work: repairing tissue, cleaning your blood, and rebuilding muscle. A lack of sleep, on the other hand, contributes immensely to kidney and heart problems, weight gain, and psychological problems such as depression and anxiety. The manifold health benefits of a great night of sleep make it just as important as other natural, sustaining actions like eating healthy. This becomes even truer while going through treatment, because your body is trying to undo and repair the damage that has been done. Remember: a lot of that reparation is done while you sleep, so not getting enough during this time can not only slow down your body, but your recovery as well. Seeking treatment at a high-quality treatment facility can get you moving forward on that road to recovery. With holistic therapies that include meditation, yoga, and physical fitness, you can get your body in a state to sleep well during treatment–and a carefully planned and regimented schedule will help ensure you devote enough time to recovery through sleep. It will be trying, but starting treatment is the first brave step to getting not only your sleep on track, but also your well-being and your life–all of which help to sustain a happy, healthy you. Sleepless nights due to addiction might seem like they are normal, but they don’t have to be. Whether it is you or a loved one who is coping with substance abuse, Alta Mira will work with you to get you started on the road to recovery and lasting wellness. If you have any questions, please contact us today.